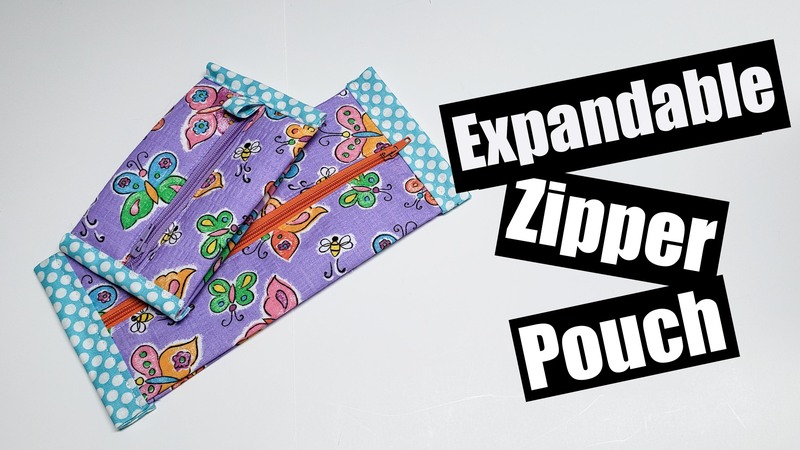 Step 7 – square up your bag and cut of excess zipper, make sure your zipper pull is out of the way, place binding fabric with the right sides down on the zipper lining up the raw edges, wrap the binding around the sides of the bag. step 8 – Sew a quarter inch seam allowance on both sides of the bag. Step 9 – flip your binding out and fold down twice to hide all raw edges, top stitch 1/8″ away from the edge of the fabric to secure your binding down and finish off your popcorn bag!